Raised in Pennsylvania, Beverly started riding at the age of eight. She began competing in the pony divisions and later moved on to the junior hunter and equitation rings. An avid competitor and student of the sport, Beverly’s trainers included well known names such as Cynthia Hankins (junior equitation star and now judge), Jack Trainor (winner of numerous National Horse of the Year Awards, Master of Foxhounds and lifelong horseman), Debbie Shaffner (former member of the US Equestrian Team), Major Jeremy Beale (former Olympic rider for Great Britain and USDF gold medalist) and Ben Guanciale (winner of numerous Zone and National year-end awards). A former board member of the Northern California Hunter Jumper Association, Beverly has her “R” judges license and travels throughout the year officiating at shows. Judging provides a whole new perspective that ultimately benefits both Beverly and her clients. Additionally, she currently sits on the Board of Directors for CPHA. Beverly also offers one and two-day clinics at students’ facilities. Beverly’s clinics are geared to address the level and needs of the riders. With beginners, she returns to the core of her program – excellence through the application and practice of the classic basics. 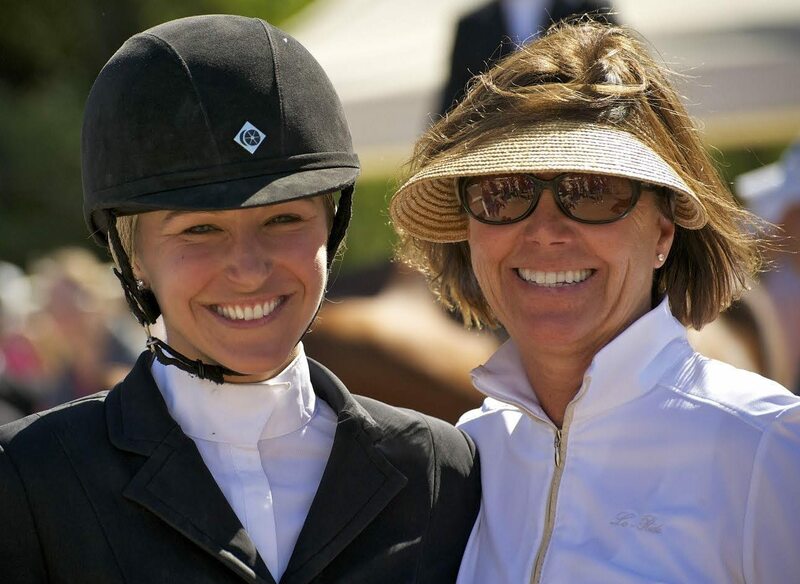 With advanced riders, Beverly works on polishing the subtleties that transform another competitor into a winner. Married since 1983, Beverly and her husband reside in Marin County. They are the parents of three daughters, each of whom has successfully competed on the “A” show circuit.